Bo Dennis has been involved in farming since the day he graduated from high school. During his time in college, he went to school in the winter but spent his summers working on vegetable and animal farms. After working on these farms for four years, he came into the New Entry Farm Business Planning Course hoping to build up a plan for his own sheep farm, but took a different route after his graduation in 2012. 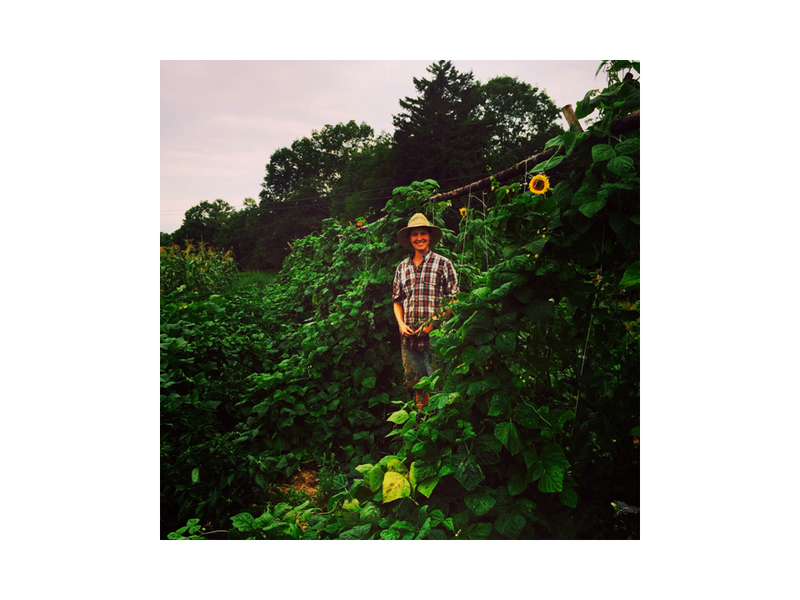 He has been farming vegetables ever since, and independent farmed on a ½ acre piece of land on a family-owned meat farm in Harpswell, Maine. He started a CSA with 10 summer members and 7 fall members, sold his crops at farmer’s market and at his farm store, and had a farm-to-school account with Harpswell Coastal Academy. Though at the time, Bo decided not to pursue the sheep farm he intended to when he was in the New Entry course, he still used the valuable skills that he learned in the course to run his vegetable farm. He says the most important takeaway he had from the course was his exposure to the business language, as well as learning how to write a farm business plan. After working as the farm manager and sustainable agriculture educator for Kennebec Community College's campus farm for several seasons, Bo has moved on to be MOFGA's New Farmer Programs Specialist. In this position, he works with journeypreson program and seeks to support the economic viability of sustainably minded farmers in Maine. He also now has his small sheep herd that he cares a lot about and is excited to work with!